Lindenberg's career has spanned over 30 years, during which time he has worked with multiple other performers and has been socially and politically engaged. His trademark gravelly voice is the result of decades of drinking, smoking, and drug consumption, a self-destructive lifestyle that led to a heart attack in the early 90s. He is best known as a rocker, but he has also written books, produced films, and painted. After watching his son banging out rhythms on a set of old gas cans for a few years, Lindenberg's father got him his first real drum set when he was 12. Shortly thereafter, the young musician won a prize at a jazz jambouree as the best Dixie drummer. From then on, he played in various bands. After graduating from high school, he started an apprenticeship as a waiter, but abandoned that career course in short order. At 17, he enrolled in a jazz course at the Duisburg Conservatory and soon thereafter was off to North Africa with his amateur band, where he remained for about a year before returning home. Physically and psychologically wasted from excessive alcohol consumption, his mother helped rehabilitate him with the assistance of a neurologist. In 1969, Lindenberg founded his own band called Free Orbit. The band was frequently invited for studio recordings and for guest appearances. His first notable success came in 1973 with his third LP Alles klar auf der Andrea Doria. This album launched him on his first concert tour along with his band Panikorchester ("Panic orchestra"). From that point on, the momentum of his success seemed unstoppable. In the following year, his "Rudi Ratlos" was dubbed single of the year, and the LP Ball Pompös was named album of the year. The stage performance for his 1979 tour was the most elaborate ever up to that time. It included 10 musicians, two dozen performers and dancers, and 25 tons of staging and equipment. Each show cost 70,000 DM to produce. During the 1970s, he produced some of Germany's most notable rock songs. By 1980, 71% of Germans named him as the best-known German rock singer. 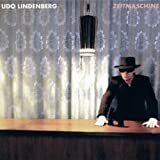 While Lindenberg continued to produce one album after another, the following decades brought many new projects. In 1980, he appeared in the self-produced film Panische Zeiten, in which he invested over 2 million DM. 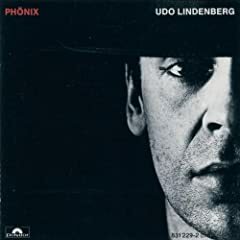 As self-proclaimed socialist, Lindenberg was allowed to appear in East Berlin in 1983 and in 1985 and 1987 in the Soviet Union. In a 1987 visit of East German leader Erich Honecker to the West, the musician presented the socialist leader with a leather jacket, and Honecker presented Lindenberg with a shawm, an oboe-like medieval instrument. Though invited to tour East Germany during the 80s, his first tour there occurred after the fall of the Berlin Wall. His efforts to reach east were recognized in 1999 with a Federal Cross of Merit. 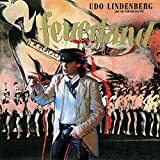 Lindenberg's lyrics deal with a myriad of themes; love and relationships are a favorite and his own struggle with drugs and alcohol surfaces now and then. Numerous songs are dotted with political and social criticism. These address problems ranging from social inequality and environmental irresponsibility to war. Apart from the numerous albums he has produced, he has used his celebrity status over the years to promote various causes, including peace movements and Live Aid for Africa, and to fight right-wing extremism. He has worked on projects with such notables as Nena, Ulla Meinecke, Die Prinzen, Eric Burdon, and David Bowie. Lindenberg has also published four books and has made a name for himself as a painter. His 2003/04 world tour celebrated his thirty year anniversary as a stage musician. The tour included two stops in China and congratulatory appearances by Nina Hagen, Eric Burdon, Peter Maffay, Ben Becker and many other performers who respect and acknowledge his contributions to German music.  Udo and his older brother Erich, who studied painting, have held joint art exhibits together since 2004. 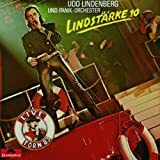  Udo's Panikorchester had experienced numerous personnel changes since it was founded in 1973, but in 1996, many of the earlier members rejoined the band, including Steffi Stephan (bass), Jean-Jacques Kravetz (keyboards), Bertram Engel (percussion), Hannes Bauer (guitar), and Carl Carlton (guitar). Hendrik Schaper (keyboard) has been a member since 1983. 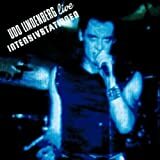 Udo Lindenberg Fanpage [German] - Fan webpage with lots of info, lyrics, more.